Shortlisted for the 2014 Prix Aurora Award, Best Novel. When Miriam Medina and her father are accused by the Inquisition of murdering a high priest, Miriam knows justice is impossible. Their accuser, the Grand Inquisitor, is in fact, the real murderer. Miriam’s only hope is to resort to her long dead mother’s magical legacy: the resurrection of the dead through a magical tattoo. This is a beautifully written novel. The characters are believable and the world well built. 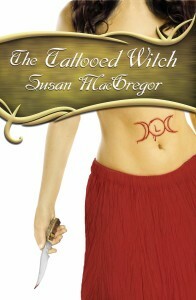 If you haven’t read the book yet, The Tattooed Witch is a fantastic read. I loved all the bits of this story woven to hook you. I cannot wait to read the next book. This novel is a fast paced, romantic, vividly imaginative story written in historical fiction fashion. As she flees across Esbaña for a port to the New World, Miriam finds being the matriarch of her people, the magical Diaphani, almost as difficult as being hunted by the Inquisition. Her deepening relationship with Joachín, patriarch and thief, is marred by the sudden return of Alonso, her ghostly lover, whom she thought lost forever. In this alternate historical epic, Miriam’s world expands to the larger realms of Esbaña, the Papacy, and Inglais, where one spy in particular seeks tattoo magic to set a new queen upon the throne. Grand Inquisitor Tomás and other old rivals seek their vengeance against Miriam, while new ones fight to usurp her place. As she broadens her understanding of magical power, Miriam learns what it is to lead, to love, to forgive, and to change, for change she must, if she and her Tribe are to reach the New World. 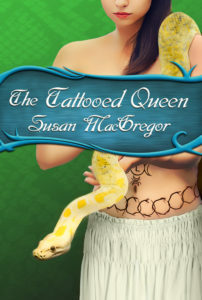 If you are a fan of historical fantasy or romance this book will sit in your sweet spot. But here’s the thing. I’m not and yet this book still works for me, largely because Susan MacGregor is a literary craftsman. In my world fine writing trumps genres any time and this is fine writing. I’m really enjoying this series’ strong world-building: a fantasy-Spanish setting in the time of the Inquisition only with real magic. 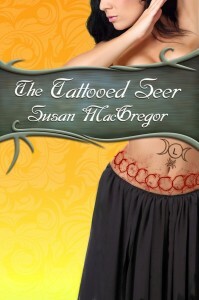 In this last book of The Tattooed Witch trilogy, Miriam, Joachín, and Alonso finally reach the New World. Here, their destinies are larger than any of them could have dreamed. They also learn a hard truth–the fulfillment of love is not without its sacrifice. Sick at heart because her husband, Joachín, is captive on a slave ship bound for the New World, Miriam finds her own crossing of the Great Ocean Sea, with its lack of privacy and vermin infested quarters, the least of her troubles. The crew suspect witchcraft of her and her ragtag tribe of Diaphani. Alonso, her ghostly love, does what he can to help, but at a growing, personal cost. As for Joachín, his situation improves little when his slave ship is taken by pirates off the coast of Afrik. Still in hot pursuit, Tomás, the Grand Inquisitor, hunts them both, sailing for Xaymaca with his pet sorceress Rana, and a bokor, (a voodoo sorcerer) who takes their blood magic to a new, diabolical level.